[PDF] Laser B1 . Teacher's Book and Tests Audio-CD | Free eBooks Download - EBOOKEE! Description: The Teacherâ€™s Book provides full guidance with: 1. detailed teaching notes giving a step-by-step breakdown of each task, including different options so that you can choose what is most appropriate for your particular students. 2. an at-a-glance On the Board section for your convenience during the lesson. 3. background information on specific references. 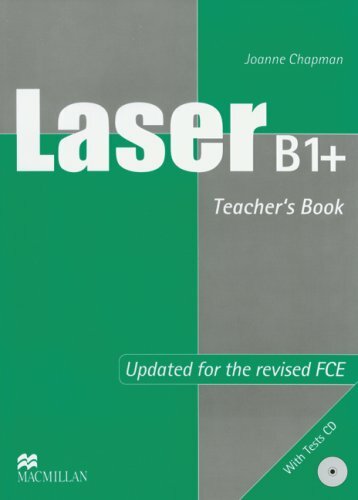 No comments for "[PDF] Laser B1 . Teacher's Book and Tests Audio-CD".